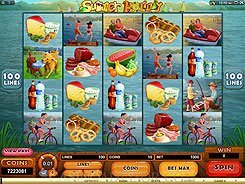 This is a 5-reel slot with 4 rows, 100 paylines and a summer related theme that is perfectly captured with colorful and refreshing background image showing a lake in the mountains. The symbols are all about picnicking, fishing, bicycling, swimming and other activities a family could want for a summer vacation. 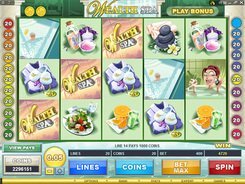 Betting up to the maximum of $0.5 per line, you can place a total bet of up to $50 per spin. 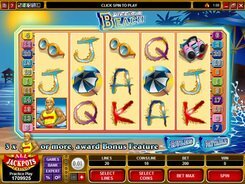 A wild symbol depicted by the Summer Holiday logo substitutes for other symbols and appears stacked in a base game and free spins. 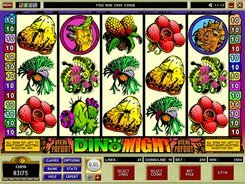 The Duck symbol scattered in any position in view triggers 15, 20 or 25 free games with all payouts tripled during the feature. 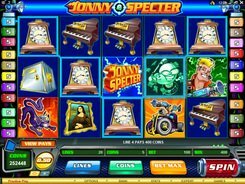 After the free spins round ends you are offered three options to choose from: to replay the feature, collect the bonus wins, or get a random cash prize. 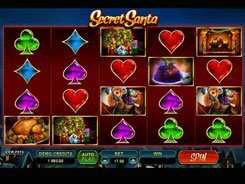 If you are not satisfied with the outcome of your free spins, you can select your preferred option in a hope to make a better result. PLAY FOR REAL MONEY!